This is a limited 3-day only sale that will expire at midnight on Wednesday, May 18, 2011. Click here to buy now or for more information about the deal. Quantities are limited so don’t miss out! Also offering party supplies, novelty items, costumes, etc. If you want to put on a show at your next (outdoor) party or family gathering, Kaboom Fireworks is Southern Ontarios destination for finding what you need to make guests ooh, aah and jerk involuntarily at loud noises. They are stocked with a broad selection of fireworks and other celebration accessories, from sparklers to barrages to Sonic Booms. 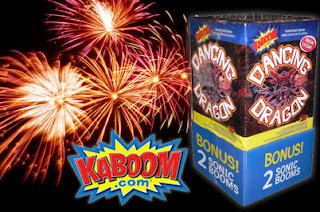 With ground effects such as the Tasmanian Devil 6-pack, Roman Candles, whistling wheels like the Ring of Fire, and much more, Kaboom can brighten the atmosphere at any special event. In addition to fireworks, Kaboom also offers party supplies and novelty items. If the mood strikes you, you could have a blast at your next function while firing a confetti cannon. Depending on the occasion, glow glasses may be a suitable fashionable accessory. They also offer costumes, and décor, and other products to bring the fun level to new heights. This is a limited 2-day only sale that will expire at midnight on Monday, May 16, 2011. Click here to buy now or for more information about the deal. Quantities are limited so don’t miss out! Limit 1 per person, may buy 3 additional as gifts. Limit 1 per visit. By appointment only. Extra fee for upgrades. Today’s Groupon: for $55, you get a facial and microdermabrasion treatment at Adrienne Foley on Hazelton (a $140 value) in Yorkville. At Adrienne Foley, a team of beauty mavens carefully tends to clients’ outer coverings with an array of revamping, revivifying services. During a 45-minute microdermabrasion treatment, a professional aesthetician administers an automated exfoliation designed to slough off dead or damaged skin cells from facial facades, leaving behind a fresh sheet of radiant, healthful skin. The spa’s 30-minute facial, meanwhile, cleanses, hydrates, and pampers pores that have grown dry and have begun delivering soapbox orations detailing their grievances. Adrienne Foley’s friendly, knowledgeable staff undertakes these ministrations from within the spa’s whimsical yet serene atmosphere. A stone wall calls to mind a zen garden, and a chandelier with dangling crystals calls to mind the stalactites brooding in the subconscious’s backcountry. $200 worth of lawn care services for only $70! Personalized landscaping to suit your needs. Over 10 years of experience in the industry. 3% of all gross profits go back to local organizations. Winter is a harsh beast, but it does serve an aesthetic purpose: concealing poorly maintained lawns with a blanket of lovely white powder. Unfortunately, this blanket doesn’t hold on forever. Time to call the professionals! Freedom Lawncare is a company looking to help the community through meticulous upkeep of its customers’ properties. Our goal is to give back to the communities that support us by redirecting 3% of our gross profits towards organizations of the customers’ choice. Located in North York, we currently serve areas such as Vaughan, Maple, Kleinberg, North York and Woodbridge. Freedom Lawncare looks forward to continuing our efforts in improving these communities, one lawn at a time! Today’s Groupon Toronto Deal of the Day: Soprano Laser Hair Removal Treatments at Beauty Bar Laser Clinic. Four Options and Four Locations Available. Limit 2 per person, may buy 2 additional as gifts. Valid only for option purchased. Valid only for listed treatment areas. Must use all treatments on same area. 24hr cancellation required. For $99, you get six sessions of laser hair removal for one of the following areas: bikini line, stomach line, underarms, lip, chin, hands, feet, nose, sideburns, or cheek (up to a $1200 value). For $198, you get six sessions of laser hair removal for one of the following areas: front of neck, back of neck, full face, lower arms, upper arms, upper back, lower back, lower legs, upper legs, shoulders, or buttocks (up to a $2000 value). For $297, you get six sessions of laser hair removal for one of the following areas: full face and neck, inner thigh, abdominal, Brazilian, chest, or full arms (up to a $2400 value). For $396, you get six sessions of laser hair removal for one of the following areas: full back or full legs (up to a $4200 value). Beauty Bar Laser Clinic bequeaths bareness to a bevy of body areas for all skin types, including tanned skin. Certified laser technicians brandish Soprano systems to heat hair follicles gradually, a process that reduces treatment duration, lessens discomfort, and decelerates global warming. Diminish fluff from lower legs, or de-fuzz underarms in the same method lauded by Miss Universe. Chests, bikini lines, legs, faces, and arms leave the clinic smooth, supple, and free from the tyranny of restrictive follicular chains. 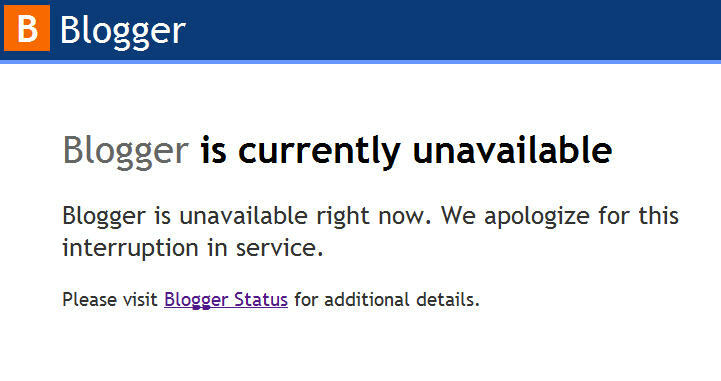 Toronto Deals Blog is hosted on Blogger.com and their entire network was down for over 24 hours. 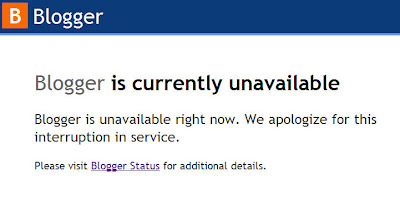 You were still able to view and access the blog, but I couldn’t log into the account to do anything. Because of this, I was not able to update the blog this morning. Thanks for reading and supporting Toronto Deals Blog. $20 worth of delicious Indian cuisine for only $10! All your favourite Indian dishes served-up fresh! Savoury butter chicken like you’ve never tasted! East Indian cuisine is eaten by vastly more people in the world than traditional North American cuisine, and yet in North America, we consider Indian food to be “exotic”. Burgers and fries, although common on most Canadian dinner tables, really are the more “exotic” foods in this world. Why not join the other billion diner’s this evening by tasting some authentic Indian food at Ali’s Tandoori Curry House. Sunny yellow walls and white tablecloths brighten this narrow Indian restaurant at the east end of the Queen Street strip. The menu highlights India’s many regional cuisines, with dishes such as saag paneer, spicy coconut shrimp Goan jhinga curry, hot lamb vindaloo, chicken shakooti and Kashmiri-style rogan josh stew. And their butter chicken is out of this world! For a tasty meal packed with traditional Indian spices, look no further than Ali’s Tandoori Curry House! This is a limited 1-day only sale that will expire at midnight (Sunday , May 15, 2011). Click here to buy now or for more information about the deal. Quantities are limited so don’t miss out! Today’s WagJag satisfies your urge to engage in kaleidoscopic battle: $15 gets you a full four-hour paintball session for two people at Defcon Paintball (a $79 value). You can choose from either their indoor or outdoor locations. Come as a lone assassin or buy multiple WagJags and bring your whole family, office, or group of friends out to one of Defcon’s two state-of-the-art facilities – they both feature a well-designed field full of stealthy hiding spots and daunting open areas. If you’ve ever dreamt of becoming a Navy Seal . . . well, you might have to keep dreaming, but this WagJag will definitely put you in the line of fire like one! Cover your enemies, friends, or a certain “frenemy coworker” in a splatter of goop with this high-velocity game of paint tag. Admission includes the four-hour paintball session, 100 paint balls per person, unlimited air refills, coveralls and upgraded gun rental, mask and equipment. Be sure to dress for mess; although the paint does wash out of clothing, you’re going to get really dirty, no matter how ninja-like your reflexes are. Groupon Ottawa Deal of the Day: Laser Hair-Removal Treatments at Centre de Santé & Beauté d’Aylmer in Gatineau. Two Options Available. This is a limited 2-day only sale that will expire at midnight on Friday, May 13, 2011. Click here to buy now or for more information about the deal. Quantities are limited so don’t miss out! Limit 2 per person, may buy 2 additional as gifts. Limit 2 per visit. Valid only for service purchased. Valid for underarms, upper lip, chin, lower back, stomach line, back of neck, sideburns, or cheek only. May redeem across visits. For $132, you get three Brazilian laser hair-removal treatments (a $330 value). For $139, you get six laser hair-removal treatments valid for the following regions: bikini line, underarms, upper lip, chin, lower back, stomach line, back of the neck, sideburn, or cheek (up to a $354 value). Centre de Santé & Beauté d’Aylmer revamps bodies through its multitudinous service menu offerings and certified laser technicians. Zap follicular foes into oblivion and render a variety of skin areas beautifully bald with laser hair removal. The safe and effective services liberate upper lips from mustachioed tyranny, obliterate sideburns, and send cheek-ivy into follicle protection programs. Multiple treatments make great strides on the path to hairlessness, but results can vary depending on skin and hair type. Customers undergo smoothings atop a cushy bed in a private, softly lit treatment room. This is a limited 1-day only sale that will expire at midnight (Thursday, May 12, 2011). Click here to buy now or for more information about the deal. Quantities are limited so don’t miss out! In today’s crazy world, it can be hard to find tranquil moments among all the bustle. And until they invent virtual reality glasses that let you feel like you are comfortably ensconced in the warm embrace of an armchair with a good book while you are actually still at work, this deal is probably your best bet for some rest and relaxation. Ma Belle beauty salon offers many holistic massage treatments and their relaxed and welcoming environment is sure to put you at ease. Their SACRED TOUCH Holistic Massage Treatments are a Combination of Body & Energy Work, blending techniques such as Deep Tissue Massage, Accupressure, Reflexology, Tibetan Massage, Aromatherapy, Ayurveda, Energy Healing & Stretching. The Intention of these treatments is to bring you relief from muscular tension while promoting greater mobility and stress reduction; creating Balance & Harmony within the Physical & Subtle body. The friendly and experienced massage practitioners will take your personal needs into account as well as their intuition to help you get just the package you need to achieve maximum results.